I hemmed and hawed and ultimately weaseled out, saying, “I need to think about it.” And think about it I did. What one thing – more than any other – could I recommend to help my friend do more work in less time on his Mac? I considered and rejected dozens of ideas before it came to me: To become more productive on your Mac, you have to be redundant. Double-click it in the Applications folder. Double-click an alias of it (on the Desktop or in any other folder on your system). Single-click it in the Dock. Double-click a document created by it. Use Spotlight to find and open it by name. You can also add applications to the Toolbar (of Finder windows) by holding down the Command key and while you drag the app onto the Toolbar. Press the Command key and you can drag apps into your Toolbar! Even with all of that, it’s not enough redundancy for me. 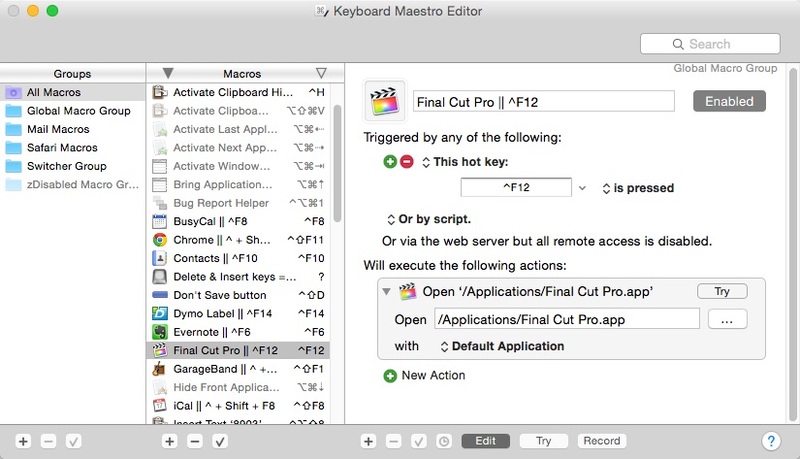 That’s why I use keyboard shortcuts to launch my favorite applications with a single keystroke most of the time (thanks to Keyboard Maestro — www.keyboardmaestro.com; $36). Control + F12 is usually the fastest way to launch Final Cut Pro for me. Moving right along, here’s another example: There are a handful of folders on my system that I use multiple times every day. To make things more convenient, I have made those folders (or aliases of them) available in multiple places including the Dock and the Sidebar, as well as on the Desktop and inside other appropriate folders. 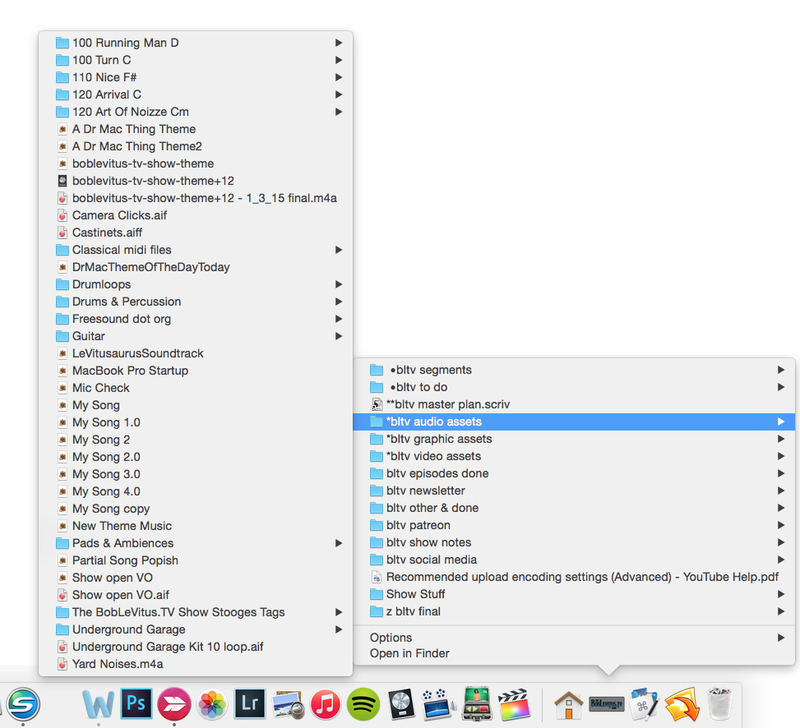 Bonus tip: Option-click a folder icon in the Dock and choose List View to see its contents including subfolders. Use List View for folders in the Dock to see a list of their folders and subfolders. I’m also a fan of redundant feedback on my Mac. For example, while I keep the OS X Activity Monitor app open at all times, I also like to see that information displayed by iStat Menus (www.bjango.com; $16) in my menu bar. Now that you’ve seen how OS X offers myriad ways to accomplish a task, start thinking of ways you can take advantage of these redundancies to become more productive. For example, when you need to launch an app, use whichever method will be fastest based on what you’re doing at the time. For me, that’s usually a keyboard shortcut, but if I’ve got one hand on the mouse, I may click its Dock icon instead. Bottom line: Redundancy will make you more productive…why not give it a try?